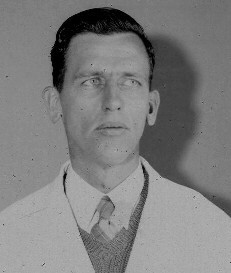 Born: 1913, Pretoria, South Africa . Died: 30 August 1998, Pretoria, South Africa . H.P.A. de Boom completed his schooling at the Oosteind School where he was head boy when he matriculated in 1931. In 1936 he qualified as a veterinarian at the Faculty of Veterinary Science of the University of Pretoria at Onderstepoort and joined the staff of the Veterinary Institute there as research officer. For many years he also acted as part-time lecturer in anatomy and embryology at the Faculty of Veterinary Science, until he was appointed professor and head of this department in 1955. He filled this position with distinction until his retirement in 1974. His reputation as an outstanding teacher and academic is reflected by the fact that the Portuguese government requested him to lead the fledgling Department of Anatomy at the newly established University of Lourenco Marques (now Maputo) in Mozambique from 1968 to 1970. After his retirement he was invited as guest professor by Cornell University in the United States from 1975-1976. During 1979 and 1980 he taught anatomy and embryology at the Medical Faculty of Medunsa and in 1981 also to zoology students at the University of Pretoria and pharmacology students at the Pretoria Technicon. Later in 1981 he became assistant to the Dean of the Veterinary Faculty at Medunsa and temporary head of the Department of Anatomy until 1985. Professor De Boom was highly regarded and much loved by generations of students for his ability to inspire others with his enthusiasm and his fascination with nature. He had a special interest in embryology and teratology, a subject on which he published a number of scientific and popular articles. He developed a method for the identification of wildlife species by means of microscopic examination of hair - a method still used today by forensic laboratories in the ongoing battle against poaching. He also contributed to the activities of his profession and was editor of the Journal of the South African Veterinary Association for a total of 12 years. In recognition of these and other contributions he received many awards: He was elected honorary vice-president of the South African Veterinary Association (1977) and an honorary member of the Anatomical Society of South Africa (1978), was awarded a Certificate of Merit by the South African Association for the Advancement of Science (1980), the Gold Medal of the South African Veterinary Association (1982) and the degree DVSc (honoris causa) by the University of Pretoria (1986). Smuts, M. In memory of Prof HPA de Boom. Veterinary News, October 1998.